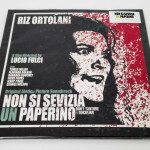 Directed by Lucio Fulci in the Spring/Summer of 1972 on the lonely Apulian hills in the province of Bari, and released in theaters during the Fall of that same year, “Non si sevizia un paperino” (Don’t torture a duckling) is among the most significant and representative works of the Italian genre cinema! 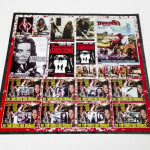 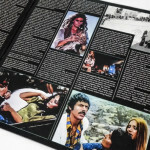 The cast also includes Tomas Milian, Florinda Bolkan and Barbara Bouchet, an exceptional and unique triad, as is the work in question. 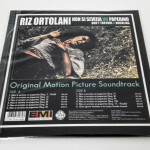 At the corners of another virtual trio of ’60-70s soundtrack composers we have Ennio Morricone, Piero Umiliani and, precisely, Riz Ortolani, here author of a mostly classical/symphonic musical accompaniment, never epic or overwhelming, but rather slow, gloomy and, given the content of the film, dramatic and tense. 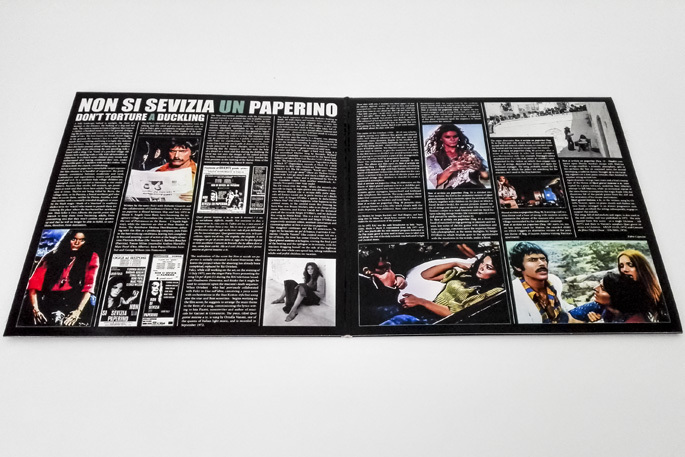 On top of all this, in the end, there’s the famous “Quei giorni insieme a te” (Those days together with you), sung by Ornella Vanoni, whose theme is recalled more than once in the other LP tracks. 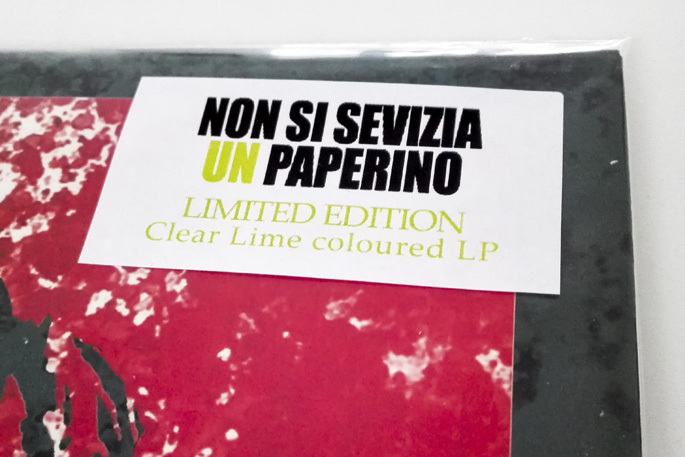 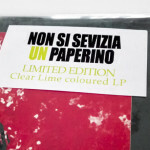 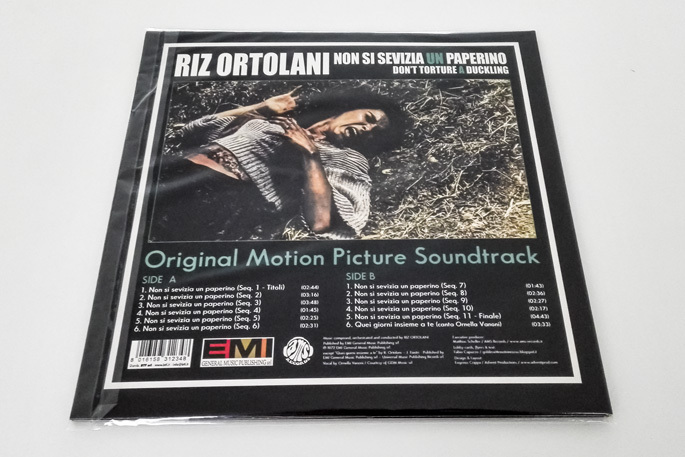 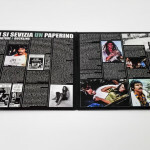 The importance of “Non si sevizia…” is thoroughly analyzed in the liner notes of this release, the first ever LP version of the full soundtrack, which wasn’t at all taken into consideration at the time; the only exception was the single track “Quei giorni insieme a te”, released on 45rpm but not representative of Riz Ortolani’s work at all. 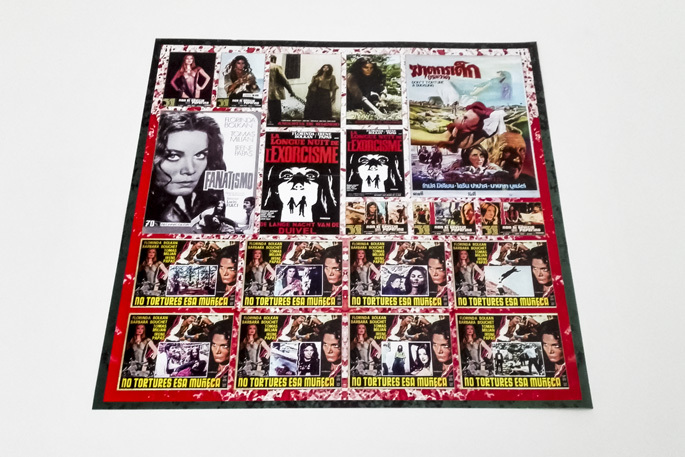 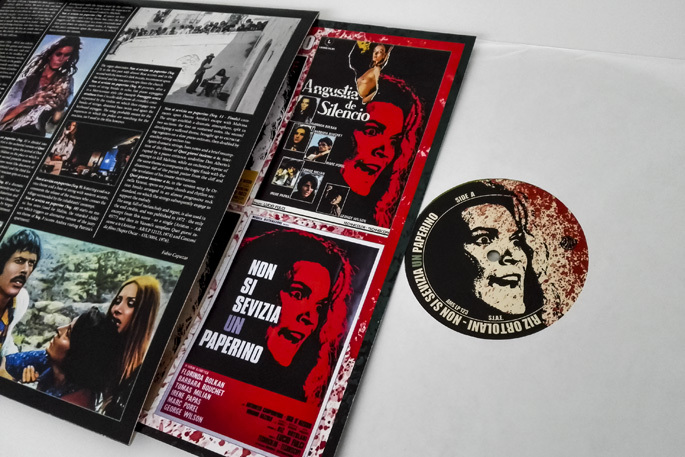 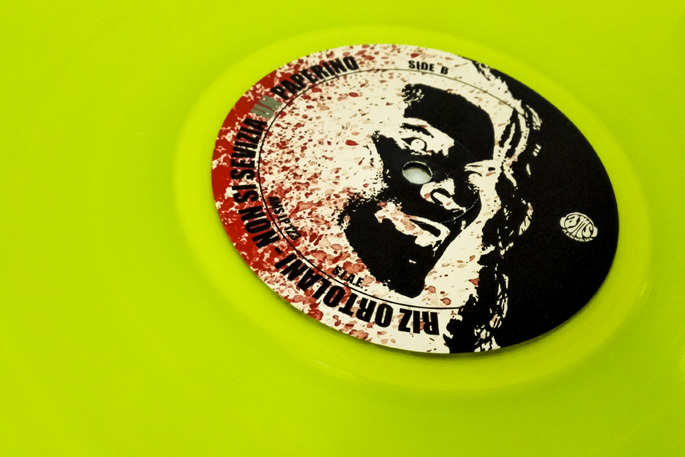 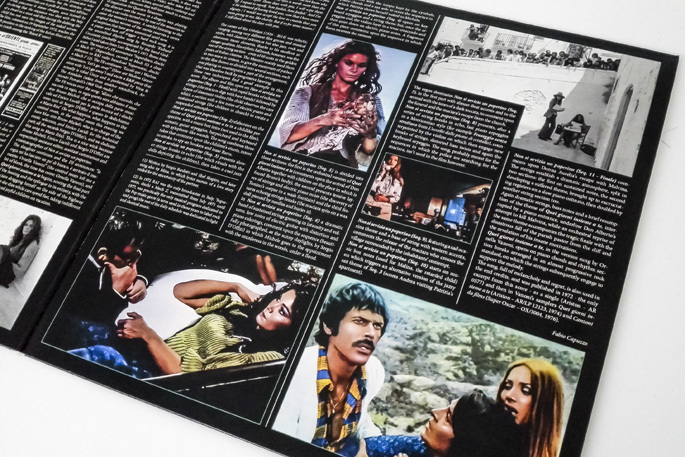 This release finally solves this gap, thanks to a sparkling gatefold cover, with new artwork and a 30x30cm poster insert with lobby cards and flyers of the film. 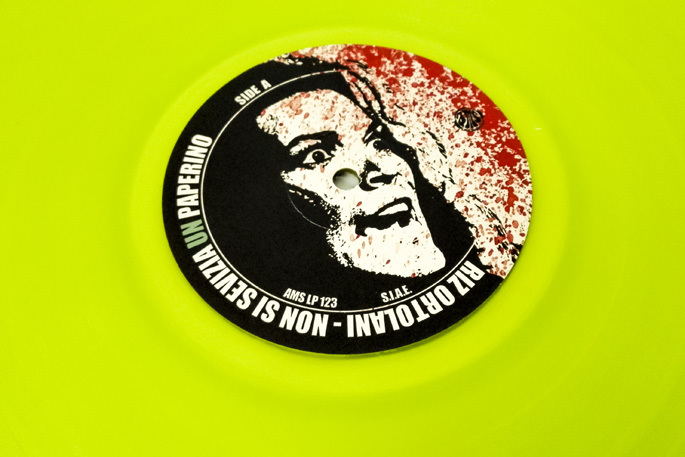 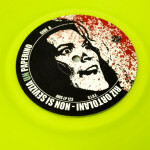 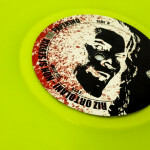 Click here to buy this LP on btf.it.